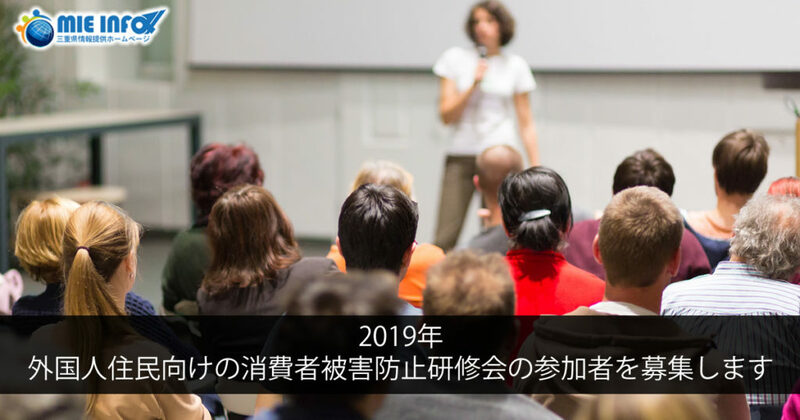 In Mie Prefecture there is a high percentage of foreign residents and the number of people of foreign nationality living in Japan in temporary or permanent condition is growing. Considering this number many incidents of involvement in issues related to the consumerist trend of foreign residents are arising. With a view to provide support to people of foreign nationality to live safely and stably workshops will be carried out in areas with large concentration of foreigners. Subject: Protect yourself against problems related to contracts! Workshop content: Explanations related to prevention of damages to consumers offering pamphlets in many idioms, screening of incidents through DVD, question and answer session, among others. 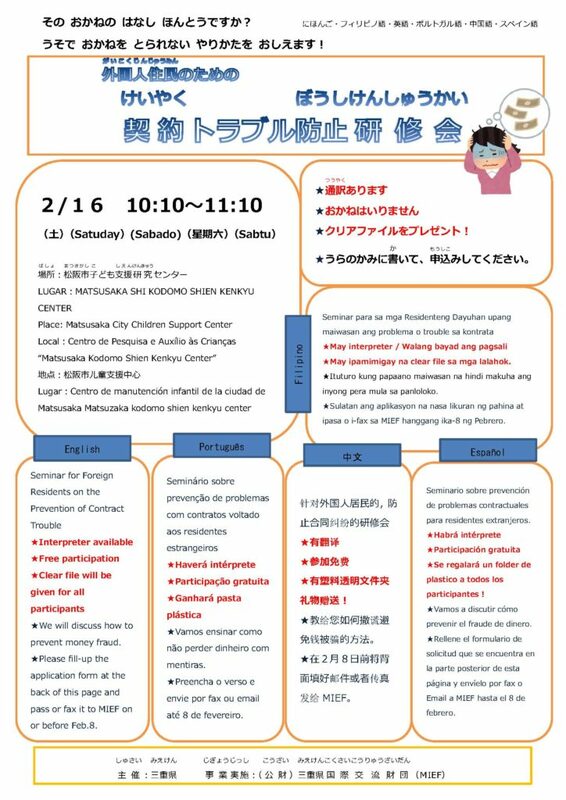 *Interpreters for Portuguese, Spanish, Filipino, English and Chinese will be available. 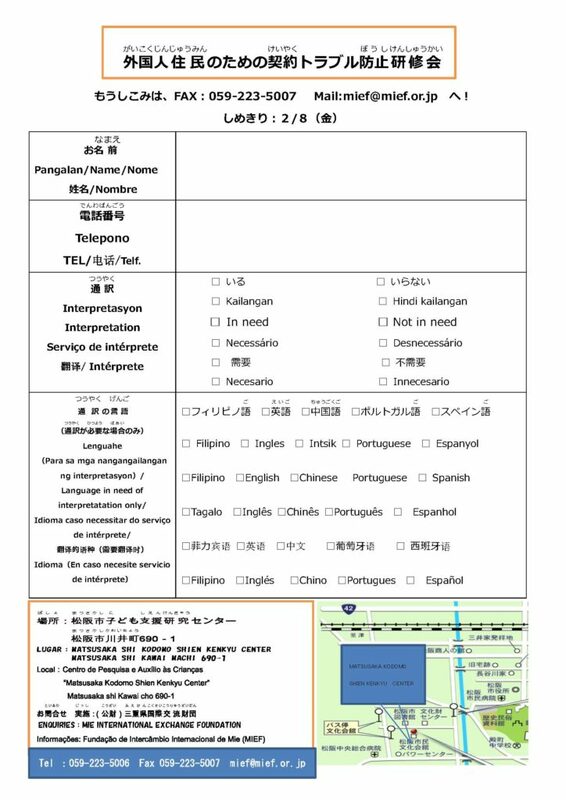 Fill in the required items on the back of the pamphlet and submit it to Mie International Foundation Exchange by FAX or e-mail until February 8 (friday).